Have you ever immediately connected to someone you’ve never met? From the very first page of the introduction of Jen Hatmaker’s new book, For the Love, we clicked. As the pages turned nonstop, I knew she was a soul sister. For the Love is like a mom’s night out that you don’t want to end until you know for sure that the kids are in bed. You know those rare occasions when you’re out with your friends and you talk and talk and talk? That’s For the Love. Jen writes in such a conversational style that we’re already on a first name basis in my head after reading this book. During this conversation, I was encouraged and laughed out loud. I also cringed and was challenged in my ways of thinking. I felt equipped with a plan to change some things. There were times I cried from sheer relief that I’m not alone in all these feelings. It’s so good to know we’re not alone. I was challenged to rethink my comfortable Christianity. Another bit just for me? So I decided to follow Jen’s advice and try my best to make the cooking time more enjoyable by finding some good music, maybe pour a glass of wine, and try new recipes. It’s a work in progress but I’m getting there! I’ve chopped and sautéed and used fresh herbs. And I LIKED IT. I think the key for me in this season is to have a plan and make a menu for the week. The glass of wine and great music will come in time. Y’all, I could go on and on. There are just so many treasures in this book that I wanted to highlight ALL THE WORDS. I will read it over and over again and I’m sure new things will continue to jump out and grab me by the shoulders. 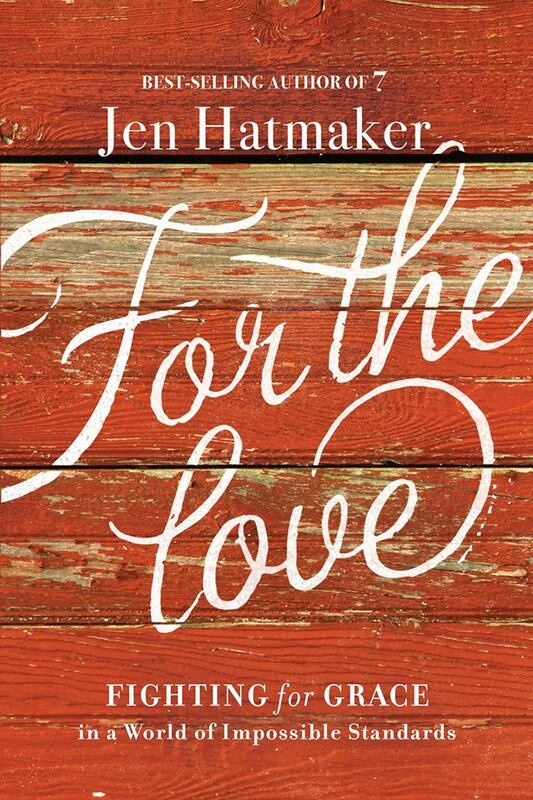 There will be an online book club with Jen to discuss For the Love starting on September 15th. Be sure to check out the details and register here: http://www.faithgateway.com/for-the-love-book-club-registration. I hope you will pick up a copy of For the Love. It will encourage, challenge, and equip you to find more grace in this crazy life. You will walk away from this book with a greater depth of love for Jesus, for people, and even for yourself.